There is no discounting that the Big Data movement is getting a lot of attention from all avenues of business and technology. Large-scale computing has been around for decades, since the days of supercomputers, and has been brought to the forefront recently by high-flying internet companies. This has been driven in part by significant advances in the availability of commodity hardware, open source distributed computing software, cloud computing, and virtualization among other things. A lot of the debate as to the value and benefits of Big Data is largely centered around how it can benefit companies in analyzing large data sets to help them make marketing decisions such as recommending what movie or product you should buy and thus improve the bottom line of these businesses. There are also other applications such as the analysis of vast volumes of sensor or transactional data in order to find patterns using machine learning. The possibilities for applying Big Data abound for both analyzing structured and unstructured data in order to extract information and improving marketing and overall business decision making. One common debate about Big Data is the effectiveness of the analytics applied in Big Data solutions, and whether it really can discover answers to questions or is it just better suited for correlations and not necessarily best suited in identifying precise causality. These debates are good discussion to have and in general I think Big Data can serve many purposes from finding correlations to solving very specific problems from a wide spectrum of data sources. 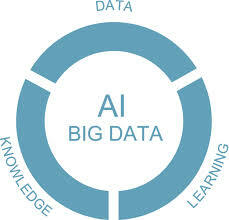 The ability to extract value from Big Data is driven in part by the volume of data available and applying the right machine learning algorithms. However, I believe there is a much bigger value to be gained from the Big Data computing movement than just correlations or sifting through transactions to calculate some metric or finding a needle in a hay stack from petabytes of data. Extracting insights from vast volumes of structured and loosely structured data has many applications, but the ultimate application of this is enabling computing systems to make smart and intelligent decisions with less and less human involvement. This is what leads to lower costs and improved productivity and what has historically been part of the human evolution where it relates to technology. We have evolved over the decades to have machines do more work for us, so the smarter our machines get and the more autonomous they get the more we evolve as a technology driven society. Ultimately Big Data can help us go beyond just a discussion around finding correlations or summarizing metrics to generate visually captivating reports. The ultimate benefit business can gain from Big Data is no different from what it has always been in the past with other computing and communications technology advances. It is about automation in its simplest form and in the most advanced form it is about enabling software and computers to power artificial intelligence to enable system autonomy. The smarter and more independent our systems are the more we advance and the more efficient business becomes. This drives getter productivity and effectiveness in all aspects of business. This will, for example, allow us to build power plants that run themselves much more efficiently, to build computers like IBM Watson that can make human like decisions, to automation software like Siri and Google Now that can understand what we want and deliver the right information to us at the exact time we need it. So Big Data is many things, but ultimately it will turn our computers and data into information that will automate all aspects of our lives and make business more efficient and productive. With advances in distributed computing, networking, and storage the time has come for AI to be at the heart of what of Big Data is all about. Big Data will allow AI to achieve the potential we have all dreamed it could be. AI has never achieved many of the scifi type capabilities we have all grown up watching on TV and in movies. Big Data will be what allows AI to achieve its full potential and this will make many things we only dreamt of possible. Grand Logic delivers software solutions that automate your business processes and tame your IT operations & Big Data analytics. Grand Logic delivers data and job automation software, Hadoop consulting services and that maximize your Big Data investment.